Investing.com – Precious metals traders will continue to watch developments in equity markets and monitor geopolitical risks , after gold prices notched up a fourth week of gains, its longest winning streak since January. 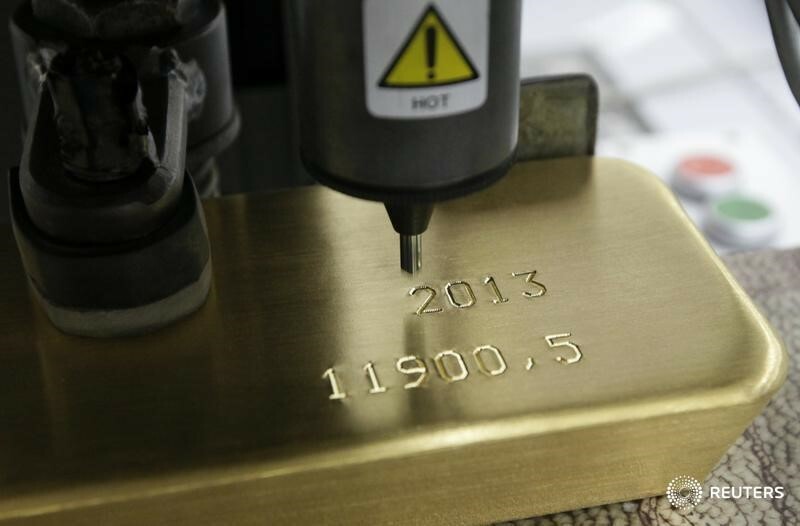 Gold is often sought in times of geopolitical tension or market turbulence. Investors will also be focusing on the monthly U.S. jobs report, due on Friday, which is expected to remain in territory consistent with a strengthening labor market. A report on U.S. personal income and spending, which includes personal consumption expenditures (PCE) inflation figures, the Federal Reserve’s preferred metric for inflation, will also capture the market’s attention. Gold prices climbed on Friday to tally their fourth weekly gain in a row, as sharp declines in global stock markets fueled haven demand for the precious metal. December added $3.40, or roughly 0.3%, to settle at $1,235.80 on the Comex division of the New York Mercantile Exchange, having earlier gained nearly 1% to $1,246.00, its highest since mid-July. Gold gave back some gains after data showed the U.S. economy grew at a 3.5% annualized rate, keeping growth on track to hit the Trump administration’s 3%-target this year. The yellow metal scored a weekly increase of about 0.6%. For the month, gold was up 3.3% on the heels of six consecutive months of declines. The U.S. is to report on personal spending and the core PCE price index.